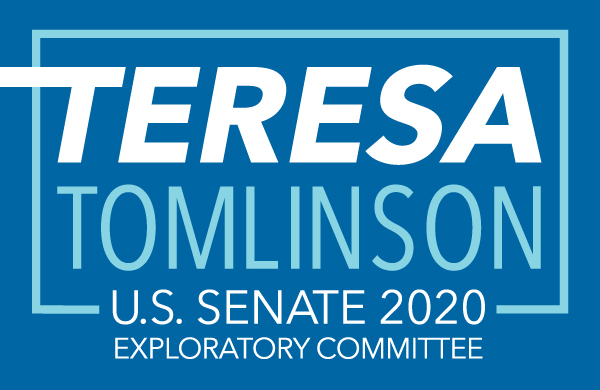 Teresa Tomlinson for Senate Exploratory Committee cares about your privacy rights, and about providing you with the information you need in order to protect them. This applies to teresatomlinson.com. We may revise and update this policy if our practices change, if we add new features to the site, or if we change existing ones that affect these practices. You may make changes to the information you have provided by visiting any form throughout the teresatomlinson.com site. You may also contact us at info@teresatomlinson.com with any questions or changes to your account. We employ a variety of physical, electronic, and procedural safeguards to guard your personal information. For example, we use commercially reasonable tools and techniques to protect against unauthorized access to our systems. Also, we restrict access to personal information about you to those employees who need to know that information to provide services to you. In addition, we work to protect the security of your personal information by using Secure Sockets Layer (SSL) software, which encrypts information you input and allows you to view your information in a secure manner. You should be aware that we have no control over the security of other sites on the Internet you might visit, interact with, or from which you buy products or services. Further, we store the personal information we collect from you behind a secure firewall and place the transaction site on a secure server. If you have any questions, comments or concerns, please contact us by e-mail at info@teresatomlinson.com.